I just finished my first class of my MSN in Nursing Education FlexPath program at Capella University and I am off to a great start! It was called Collaboration, Communication, & Case Analysis for Health Care Master’s Learners and it consisted of three assessments. It took me approximately 3 weeks to complete the course. The assessments were anywhere from 4-8 pages long, excluding the title page and references. The first two presented healthcare leadership challenges, and had me write about how I would approach each problem from a healthcare leader perspective, supported by evidence. The last paper was a self-evaluation of my leadership style. After each assessment was written, I would upload it for evaluation, and then my professor would grade it. I got an email once he had uploaded his grade/feedback, which was nice because I didn’t have to keep going back into the classroom to check. Reminder – With FlexPath you set your own deadlines! The first thing I did was read the information for each assessment so I would know about how long it would take me to do each one. After that, I plugged in my target dates (when I want to have them turned in by). I basically gave myself 1 week for each assessment. Once I turned one in and got my professor’s feedback I started the next one right away. For my next course, I’m giving myself 2 weeks for each assessment because this next month is crazy with a few speaking events and moving into a new house. Then I plan on going back to 1 assessment per week. I did it! I successfully completed my first MSN FlexPath course with a distinguished competency demonstration! Instead of an A, B, C or D grade, the competency demonstration is evaluated as Distinguished, Proficient, Basic, or Non-performance. To successfully complete each assessment, you are given 3 attempts. So let’s say I received proficient and basic levels for all of the criteria of my first assessment. I can take my professor’s feedback, implement it, and re-submit for evaluation with a goal of getting distinguished. My Competency Map lets me closely monitor my progress. I’ll be back next month with an update on my progress! Learn more about Capella’s FlexPath learning format and nursing degrees. I loved reading your experience. I got my masters 30+ years ago, and it was an awesome experience. Now, I am seeing through your eyes new ways of teaching and learning. I love the “grading” system. Thanks for sharing what in the past might have been a very individual (except for what is shared with cohorts) experience. This gives me even greater confidence for our profession. I highly recommend getting the PERRLA program. It’s a formatting plug in for Word and is worth it’s cost in gold! No more APA formatting issues! Love reading these. 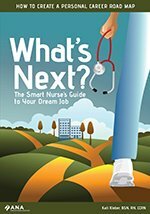 I just finished my master’s in nursing and am looking at Capella for my DNP. Awesome! I’ll have at least 1 new video and 1 new blog post every month as I work through the program. I can connect you with and enrollment counselor if you have DNP-specific questions. Just let me know! Hey Kati – thanks for the tip on finding this info. I’ll be watching for updates. For the grading system they use… is it up to you whether or not you make changes and resubmit if you were to get a proficient? I’m a little confused on that type of a grading scale. I wonder what the expectations are if you were to apply for a doctorate after this. Nothing basic or lower I assume? Basic doesn’t sound very impressive but I’m new to this type of learning! Clue me in when you get a chance. Thanks! Hey Christy! So the level needed depends on what level of education you’re working on. So for my MSN I need to get “distinguished” on my competencies to pass them. For each assessment, you get 3 attempts to achieve this. I’ve definitely used them to because these professors really go through it with a fine-toothed comb and genuinely grade. I’ve received a basic on a few and had to redo and use up my 3 attempts a few times. I’m not totally sure, but I believe if you’re doing an RN to BSN, that you need to get proficient and for MSN + you must get distinguished, and the work it takes to get the distinguished is more challenging for the doctorate. Don’t quote me though – let me ask and circle back. I am very interested in pursuing my Masters too. Please keep these blogs coming as this truly inspires Nurses like me, that amidst the busy and hectic schedule, we can do it!